It feels like the first time, only different! Londo’s happily haggling on the Zocalo. Sheridan’s matching wits with Bester. But Garibaldi’s quit his job, and the certainty of the Shadow War’s endgame has vanished. 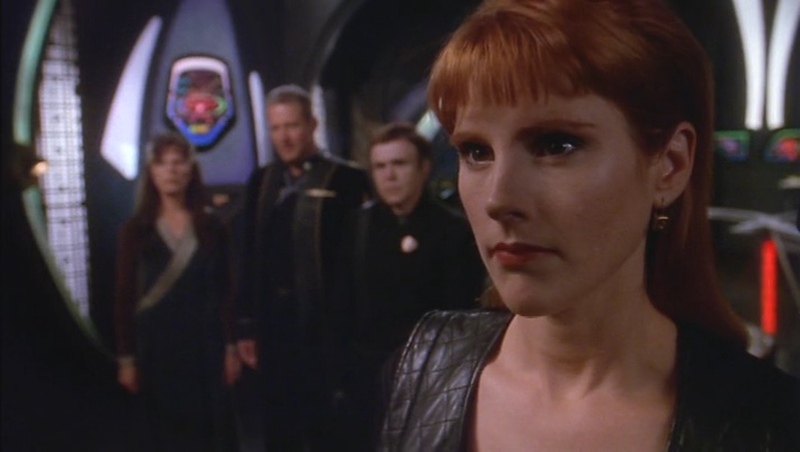 Welcome to Babylon 5 as it was earlier in the series: unpredictable. I had forgotten that the “expert” consulted in the propaganda broadcast said “Helsinki Syndrome”. In my head-canon ISN is the 23rd century Fox News, so in that light this oversight is actually quite believable.